A few months ago, my three-year-old Toshiba laptop took a turn for the worst. The problems had progressed beyond your standard Windows XP problems into the realm of slow but steady hardware failure. When I first noticed that a major repair was in the cards for my Toshiba, I immediately started saving for a 17″ MacBook Pro. This was, by no means, a switch for me. This would be my fourth Mac, and the last one I owned was a pre-Intel Mac Mini. It has been a few years since I owned one, and I never considered going for the high-end models, because I could not rationalize the cost. After purchasing my MacBook Pro, I can honestly say that it is worth every penny. Many Apple critics like to dismiss the MacBook Pro as pretty and overpriced. Almost every revision of the 17″ MacBook Pro is astoundingly pretty, but the functionality is amazing, and the screen makes the purchase worth the money. My particular MacBook Pro is one of the last of the pre-Unibody line, and I opted for the high-resolution glossy screen. I am not a graphic artist, and I do not edit video, but it is very hard to imagine going back to a smaller screen or a lower resolution. The screen is harder to keep clean than I would like, but the color and the amount of screen real estate make it well worth the extra cleaning. I own a gorgeous 22″ Samsung LCD monitor that I have not turned on since I bought this MacBook Pro, and I do not think I will need to use it for some time to come. Not only has this laptop replaced my Toshiba, but it has also replaced my monster desktop, which ran Windows 2003 Server. Thanks to Apple’s Boot Camp, I can partition my hard drive multiple times, and install all of the operating systems I need. There are other methods of running Windows and Linux on a Mac, but for now, rebooting to access another OS is not a problem. Apple also provides an array of applications for both average users and professionals that do everything from office productivity to professional video editing. You can purchase some of that software and have it pre-installed on your Mac. It should be news to no one that Apple’s OS X is extremely stable. Its UNIX underpinnings allow it to run for long periods with a relatively low overhead (of hardware and software resources). The Mac community has successfully installed some of the newest revisions of OS X on Macs close to 10 years in age. OS X is also very low maintenance compared to the various versions of Windows. It takes a lot less time to install updates, perform backups and maintenance, and keep your Mac running smoothly than it does to maintain Windows XP. I have also been able to leave any of my Macs running for weeks at a time without needing to reboot. A Mac is an excellent investment, because it maintains its value for a longer period than a PC. My three-year-old Toshiba, were it in excellent condition, might only fetch one or two hundred dollars on eBay. Two-year-old 17″ MacBook Pros are selling for around $1,000 on eBay, depending on their configuration and condition. Apple also takes its time to ensure backwards compatibility in most hardware and software. A new release of OS X does not always mean that you will need to upgrade your hardware as it could with every subsequent release of Windows. The Mac user community is robust and very helpful, so finding answers to your questions or solutions to your problems will be easy. When you purchase a Mac, you will get a high-end product that retains its value along with a helpful support community. August 16, 2009 Post by Duane in Gadgets. This is my first Mac experience. What a joy! The difference is day and night. The support is unbelievable. I will never buy another Dell or Windows product. I bought a dell 6 months ago. I’m sad to report, it now has over heating issues, give me the blue screen of death and constantly does memory dumps. when I reported it to dell they said I could buy an extended warrenty, but otherwise I’ll charage me money to get it fixed. FIXED???? it was never working to begin with. I’ve been a Dell user for a long time, the past 3 dells I’ve bought, 2 laptops and 1 desktop will be the last. Ever since they switched to chinease made and not testing their products, the computer has went down hill and so has the tech support. 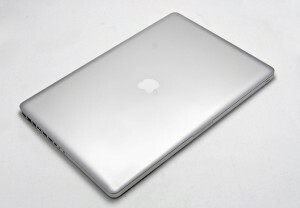 I’m looking forward to my MacBook Pro which I will purchase in the near future.